This has been one of my favorite collaborations this year, because it was really out of my comfort zone and pushed me to bring to bring you different content. 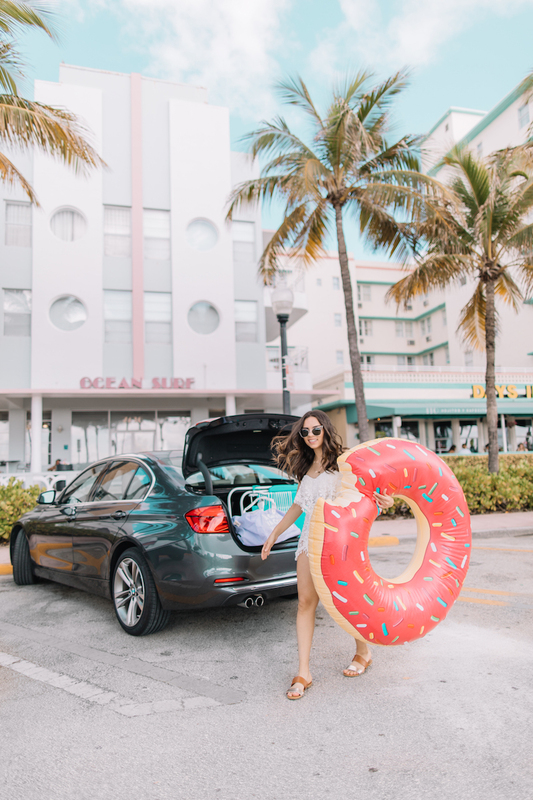 The whole idea with this Instagram campaign with BMW was to show you around Miami and embracing the city I live in. The adventure started with the M-Track Day; where we got to race many BMW cars. 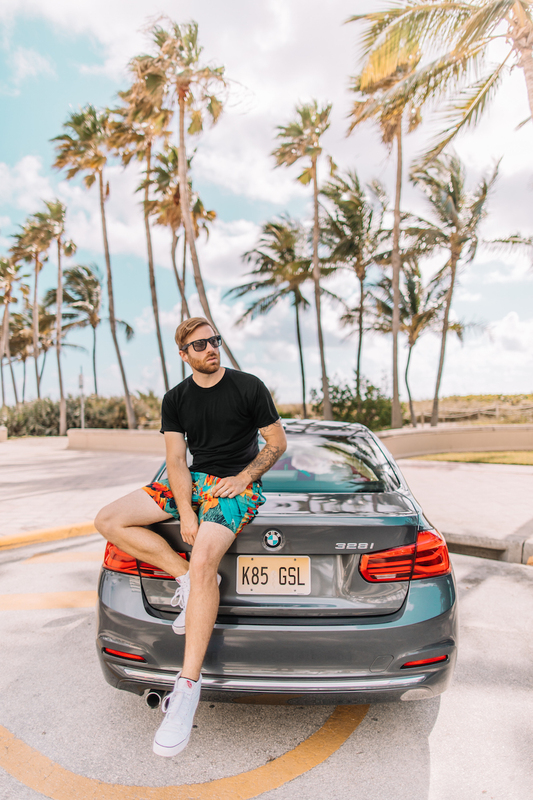 Then BMW South Florida lent me a car for a little over a month drive around. 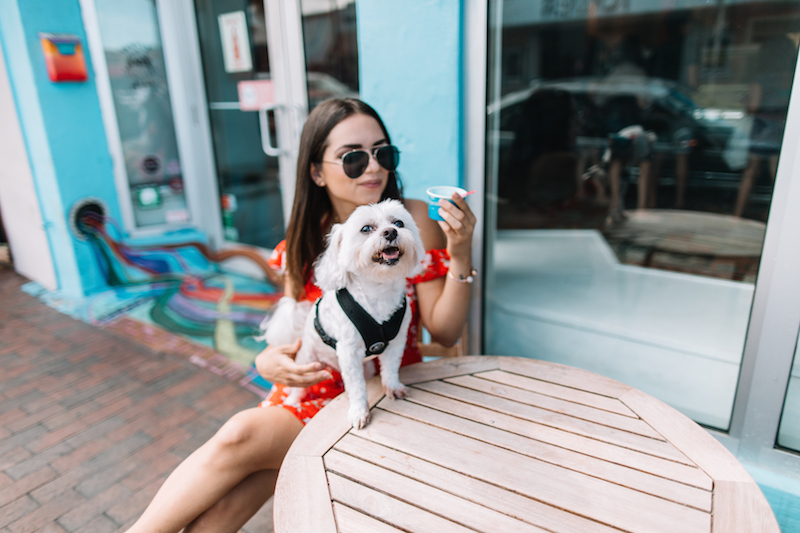 My first stop was Wynwood, since we ended up taking photos I shared it as a blogpost HERE- and then we did a mini road trip to Islamorada, which also had its own blogpost since it was more of a trip (see it HERE). 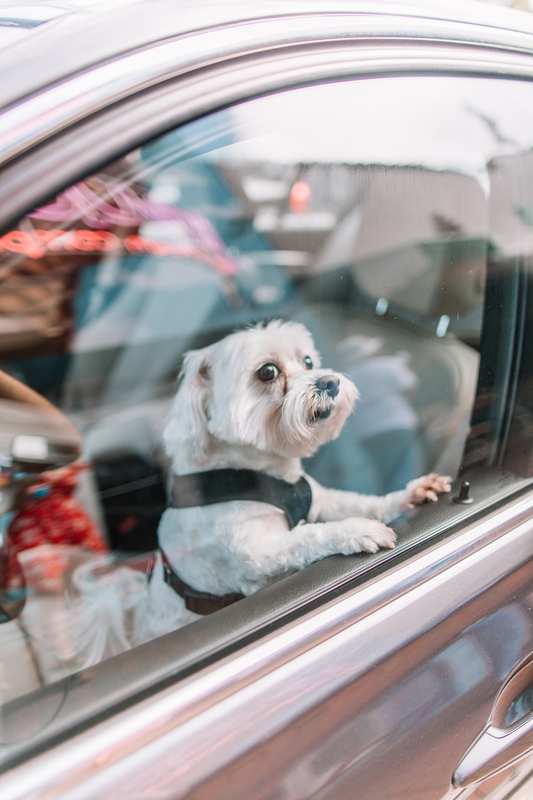 But the recommendations kept coming on Instagram and I want to share them over here too! Esta ha sido una de mis colaboraciones favoritas este año porque realmente me sacó de mi zona de comfort y me obligó a mostrarles otro tipo de contenido. 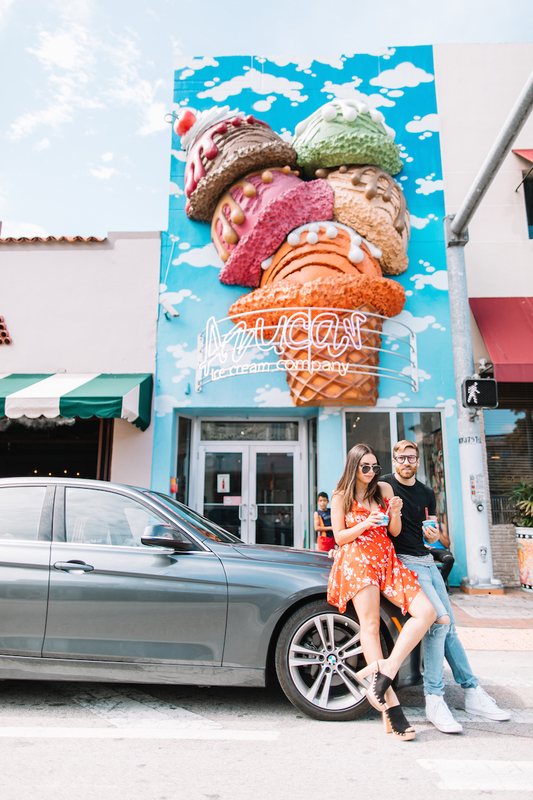 La idea de esta campaña de Instagram con BMW era mostrarles diferentes areas de Miami y mostrarles mis sitios favoritos. Pero no quería dejar de compartir mis recomendaciones por acá también. Así que empecemos. 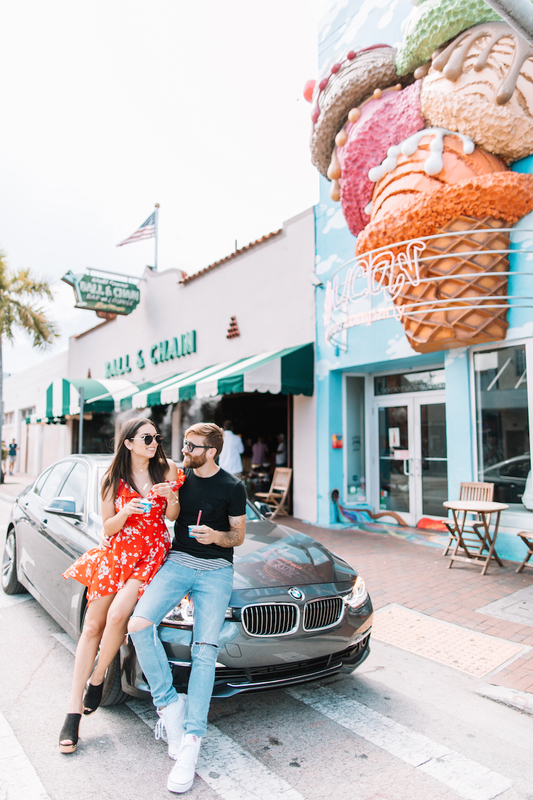 A must-stop was Calle Ocho in Little Havana for our last stop with @BMWusa 💃🏽💃🏽 From Domino games happening everywhere, to live Salsa music and cafecito on every corner... this is the heart of MIAMI ❣️ Let me tell you about our favorite place for a casual date: Azúcar! 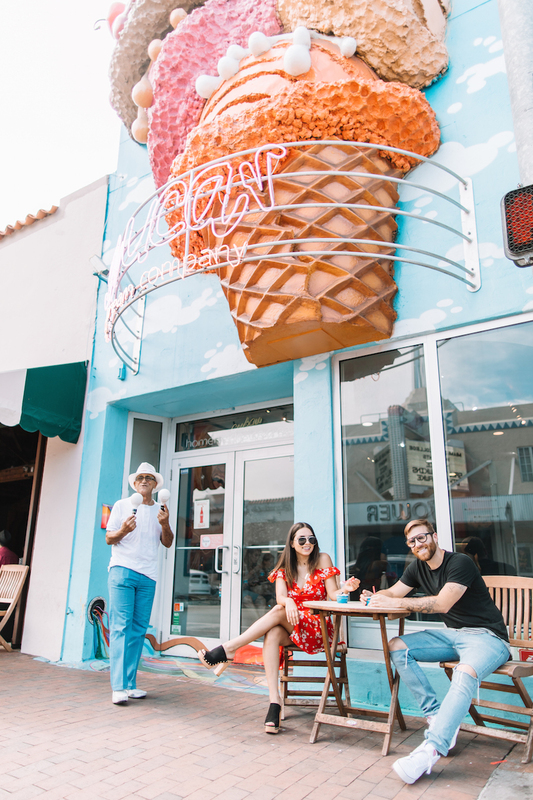 🍦🍦(because they have the best ice cream flavors like "Café con Leche," "Galleta María," and "Dulce de Leche"). Also, in the back, you can see "Ball and Chain": best place to dance the night away! What I'm Wearing: Honey Bum white lace romper, and ZeroUV sunglases. A true Miamian avoids South Beach; instead we prefer going to Mid Beach or North Miami beach for quieter beach time! 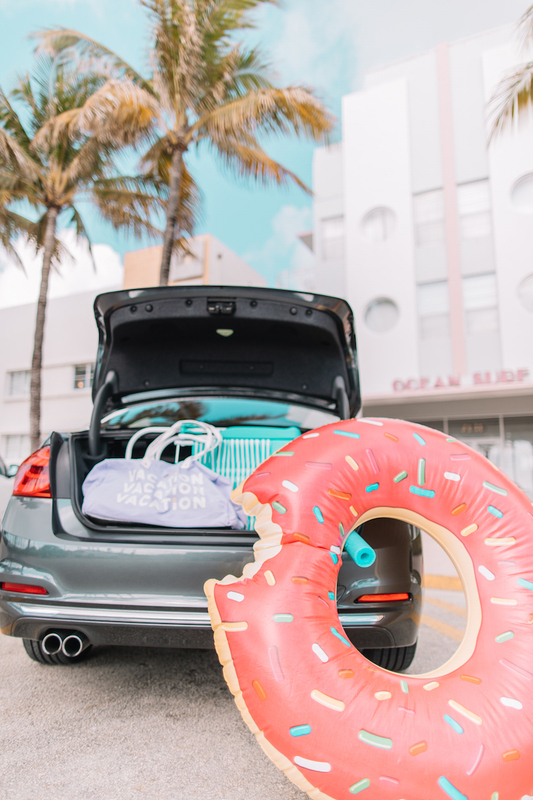 🏖 Last weekend I headed there with a couple of friends, few floaties, and lots of sunscreen! 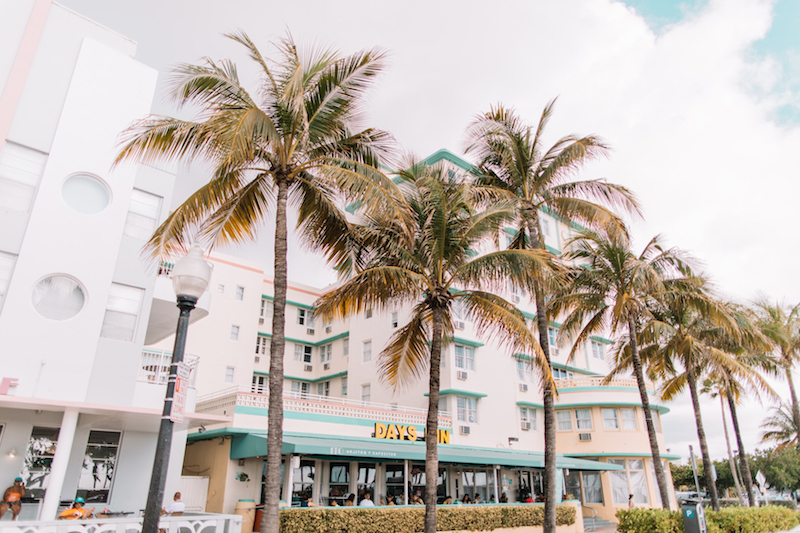 My recommendation is to try to park around 75th and Collins, there is a big parking lot right across the beach and there are gorgeous pastel art deco buildings that really capture the beauty of this city! 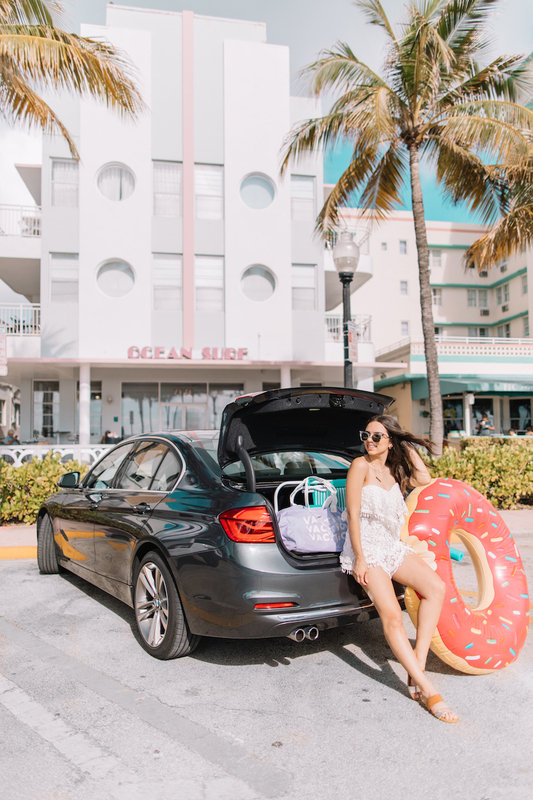 Todos los que vivimos Miami le huimos a South Beach (por la cantidad de turistas); preferimos ir a las playas que están un poco más al norte ya que son más tranquilas (¡pero igual de lindas!). Mi recomendación es que se estacionen en la 75 y Collins; hay un estacionamiento justo en frente de la playa y van a ver muchos edificios estilo "Art Deco" muy característicos de la ciudad! 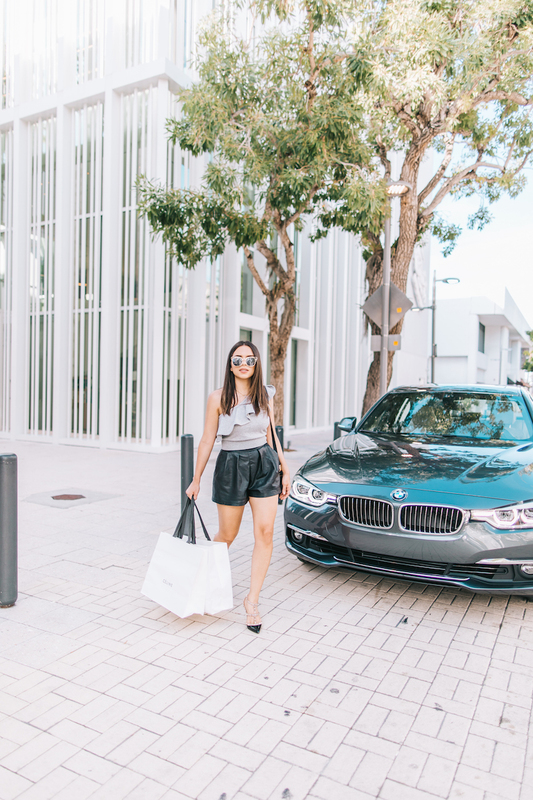 When it's time for some luxury shopping: the Design District is the place to be. Taking advantage of the mid-year designer sales, I did a bit of credit card damage (I got tons of questions, it's the Celine blue bag you have seen around!!). But iIt's not only about the haute design, there are great restaurants, coffee shops, bakeries, galleries, and bars in this beautiful area. Si tienen ganas de hacer compritas (¡de las especiales! 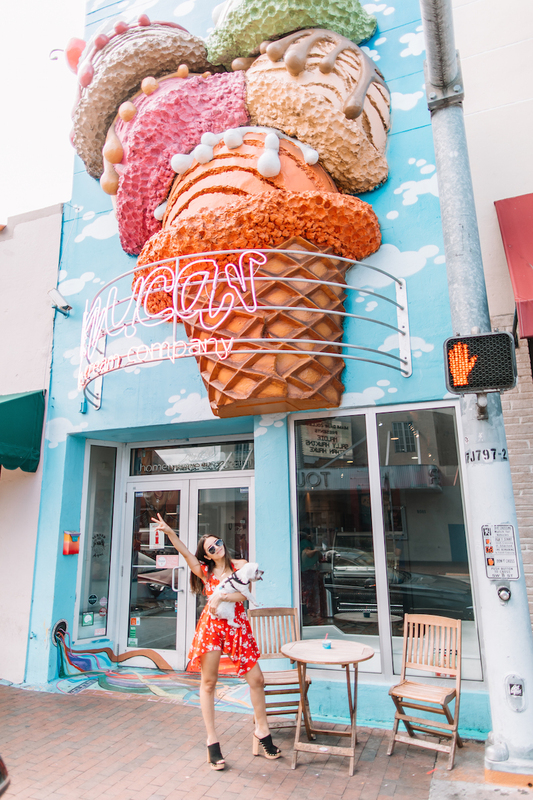 ...de esas cuando te quieres dar un gusto después de mucho trabajo!🛍🛍) en Miami, les recomiendo el area del Design District- la architectura es bellísima y van a encontrar las tiendas más lujosas de todo Miami. Pero no es solo para ir de shopping, en esta zona hay muchos restaurants, galerías, bars, y cafés...y lugares para fotitos.